Irreversible Inspiration: I know what to do! - More subjects to post, not just outfits and make-up anymore. - Inspiration pictures i'll keep to my Tumblr. - I will also try to make some videos when i don't feel like writing about some subject. Talking is, for me, a much more pleasant way to express myself compared to writing. For the last, here's a little giveaway i participated in! 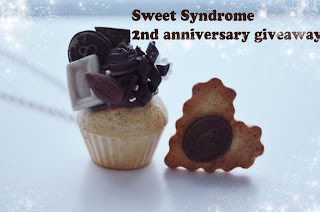 It's my friend's sinuski's 2nd anniversary giveaway. Here's her blog! I was going to do a giveaway too when i reached 100 readers but unfortunately i just had never time to do it. Maybe after i gain 150? Or next anniversary? We will see.